Attuned to the fossilized monolingualism of the United States, moving to Luxembourg activated my senses in a new way. My ears are now on high alert, ready to play a game of “name that language.” My eyes are peeled, collecting new vocabulary through bi- and trilingual signage. If languages had smells, Luxembourg would be the perfume counter of Europe, equal parts headache-inducing and aromatic. What I’ve recently discovered, is that language is not just a question of the tongue, but of the skin, eye, nose, and ear as well. 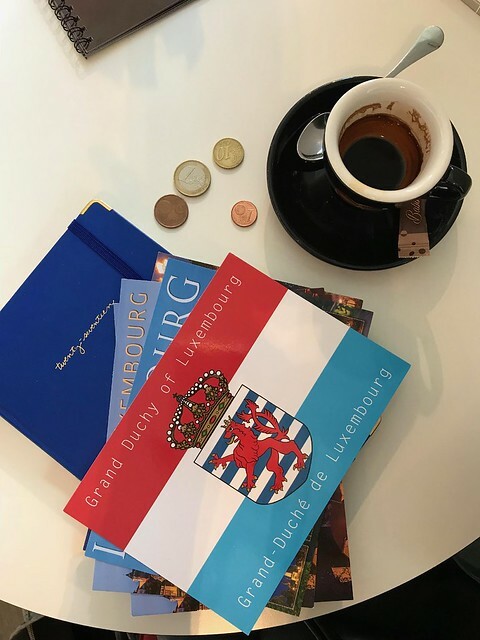 A single day in Luxembourg illustrates the linguistic experience as a physical one that taps into as many senses as there are languages spoken here. This morning, I took the train traveling from Esch-sur-Alzette to Luxembourg Ville. The train is mostly quiet, except for several small groups of women speaking Portuguese. The Portuguese are the largest foreign citizens group in Luxembourg, making up about 16% of the total population. The Portuguese language is becoming more familiar to my ears, but in my pre-caffeinated state, the vigor and volume at which it is spoken at 7:30 in the morning makes me cringe. I put in headphones to neutralize the discordance. When I arrive at the high school where I teach English, crowds of students are speaking Luxembourgish. In general, students comfortably navigate the three administrative languages of their country (Luxembourgish, French, and German) on a daily basis. In my classroom of twenty-one teenagers, all the students can speak at least these three languages if not four, five, or six. There are students who speak Italian or Albanian. Some speak Arabic. Others know Spanish. I wonder if my students’ ears are able to find harmonies between languages simply because they’re accustomed to the polyglot environment in Luxembourg. Will the sounds start rubbing off on me, tuning themselves into comprehensive symphonies over time? While Luxembourg is multi-lingual, certain spaces and times require a specific language be employed. School is one such exemplary place. 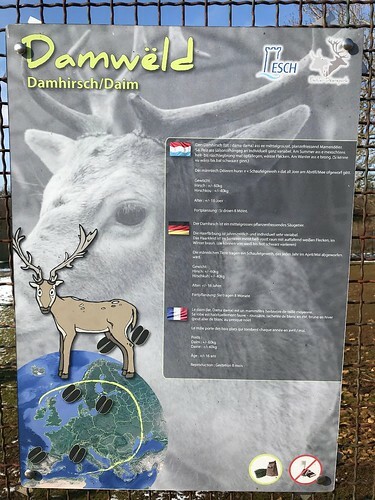 In the ninth grade, the Luxembourgish school system switches the language of instruction from German to French. Although students have been learning and using both languages for years, the transition doesn’t come without great challenges for some: Many comment that they’re essentially re-doing 8th grade lessons in order to learn French terminology for, take as an example, chemistry coursework. Over the summer holiday, der Siedepunkt becomes le point d’ébullition, that is, the boiling point. 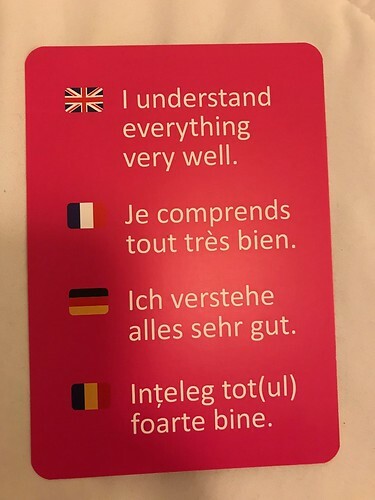 Luxembourgish is often spoken to provide explanation in the classroom as well. While straddling these instructional languages, students also take English, French, and German language classes, along with geography, physical education, art, computer science, math, and history classes. If I were in their shoes, I think I’d reach my boiling point by about the end of second period. I asked my students today what language they prefer to speak. One said Polish. Another said French. Two said Italian. At least four said English, because they “think it’s cool” which, I guess, makes it enjoyable. Still more agreed Portuguese was most natural for them and they could use it as a “secret language” when in public. I reminded them that actually about 1/5 of the people in Luxembourg alone could understand Portuguese, which, for some reason, seemed to come as a surprise. No one chose Luxembourgish or German, though these are, presumably, the languages that the majority of my students are most comfortable with. School emails are written in Luxembourgish or in French. I haven’t figured out how they choose the one over the other. Once in a while, I notice an English catchphrase or slogan used on school documents such as a poster or an official bulletin and it gives me a cheerful feeling. In the teacher’s lounge, a code-switching tennis match moves at rapid-fire speed. Luxembourgish to French, French to German, followed by a pop culture reference in English, and back to Luxembourgish. To keep my head from spinning, I fill in the gaps as another creative guessing game with risky consequences and a high degree of error. After school, I head to the café. A woman across from me is speaking in English while giving a French grammar lesson to a university-aged student with a German accent. On my left, the waitress speaks French with a Romanian accent. A young couple converses in Luxembourgish to my right but, for some mysterious reason, they’ve just used the phrase “I understand” in English. The waitress opts for Luxembourgish to greet a new customer as they come in search of croissant. On my way home, I walk past a bar with signs in Portuguese. A family speaks Arabic on their evening walk in the neighborhood. Reaching my apartment, I find my way through a cloud of cigarette smoke coming from the aptly named Café Italia which is a second-home to about fifteen middle-aged Italian men who stand outside during football match halftime breaks. 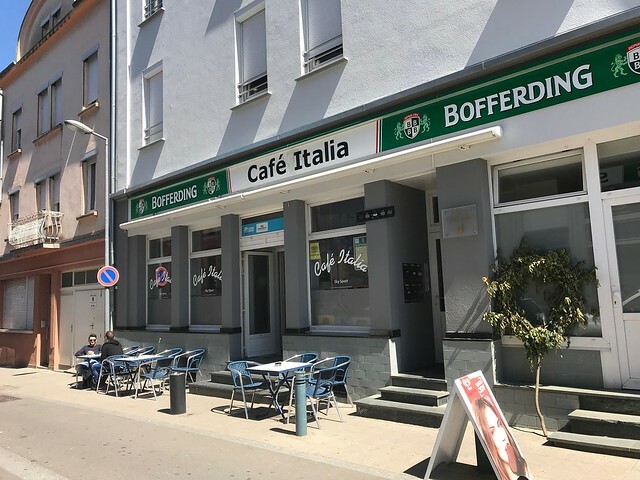 About 3.5% of the total population in Luxembourg is Italian, but many Luxemburgers born here are from Italian families and still speak Italian at home. In my mailbox is a letter from the government of Luxembourg. It’s translated in four languages: Luxembourgish, French, German, and English. In my room, I look forlornly at my German textbook: Deutsch im Alltag! I haven’t been to class in weeks. 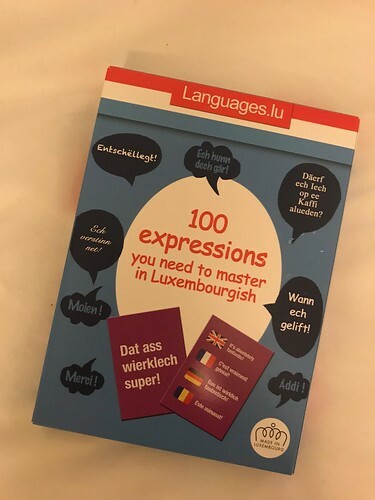 When I first arrived in Luxembourg, the most difficult game my ears played was “German or Luxembourgish?” Luxembourgish shares many of the same grammar structures and syntax with German, and the languages sound quite similar. However, Luxembourgish takes much of its vocabulary from French. Although it wasn’t until 1984 that Luxembourgish became an official language of the eponymous country, asking condescending questions about the difference between German and Luxembourgish is to be avoided in the Grand Duchy. Tonight, I’m getting ready for my Lectures d’hiver reading club at the University of Luxembourg. The moderator is Romanian. 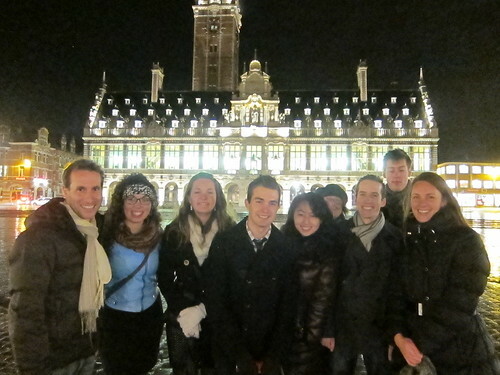 Other book club members are from Germany, Spain, France, Vietnam, and Côte d’Ivoire. We read aloud from the book (written in French by a Russian author) and discuss in French. By the end of our two-hour meeting, it feels like the end of a workout. I’m physically tired, my hands are clammy, and my endorphins are surging. I chose to live in Luxembourg because I wanted to experience the French language within a different francophone context, far outside the obvious Parisian metropole. Luxembourg also sounded interesting because of its location carved out between Belgium, France, and Germany. Interesting it certainly has been, and this is due above all to the distinct sounds of language one meets throughout the day. These voices of many languages, and not just those of French, German, or Luxembourgish, fold in and out of each other in a dance step. The rhythms, contours, and vibrations they weave within the same physical space create a new and unfamiliar sound. As a language learner, and one who is full of insecurities when not speaking my native language, I have been allowed and encouraged in Luxembourg to let the feelings of inferiority go. At the same time, my subtle assertions of authority as a native English speaker have necessarily come tumbling down. 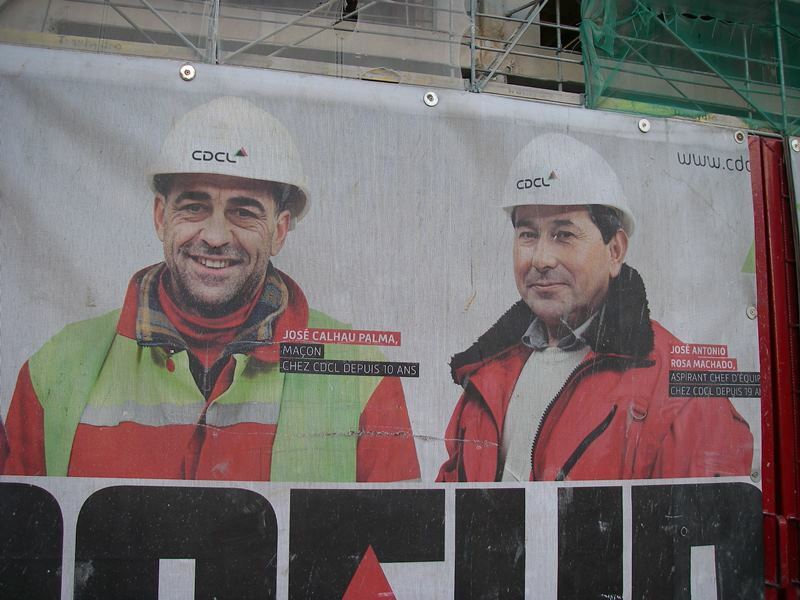 In Luxembourg, a common tongue is not the foundation of daily life. Instead, like skin itself, language acts as a porous, layered, somatic, and regenerating organ. This living structure envelops us, identifies us, but does not define each story we tell. More languages gather on top of our skin as we walk down the street, stare out the window of the bus, stand in the classroom, and sit with friends and strangers. Often, speaking a language means gaining access to cultural in-groups and building tight communities, but it can also reinforce barriers between insider and outsider. 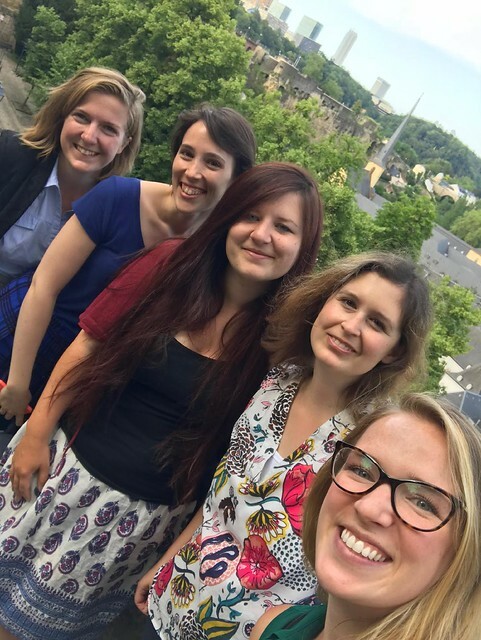 In Luxembourg, linguistic hierarchies exist as they do anywhere else, but here, the vast majority of people find themselves in a state of flux, moving on a stable yet oscillating path through a multilingual society. What is shared on this path is the understanding that language is never taken for granted, no one is its master. Language is fluid, traveling in our ears as a constructive challenge, ringing from our lips with vibrato, pulsing across our skin as we bump up against it, dance with it, and allow it to take part in who we are becoming. 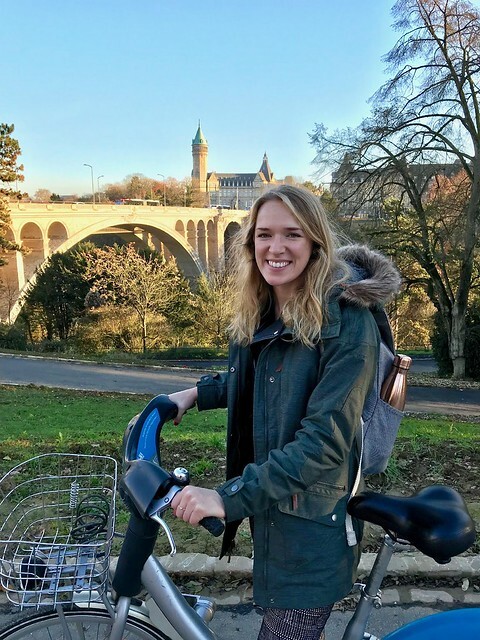 Chelsea Elzinga is a 2017-2018 American Fulbright English Teaching Assistant to Luxembourg. A graduate of Seattle Pacific University and Florida State University and an alumna of the TAPIF Program, she is spending the academic year teaching English at the Lycée Josy Barthel and the University of Luxembourg. Articles are written by Fulbright grantees and do not reflect the opinions of the Fulbright Commission, the grantees’ host institutions, or the U.S. Department of State.